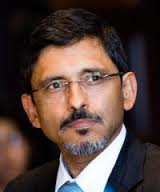 Economic Development Minister Ebrahim Patel today announced a R23 billion boost towards the development of black industrialists when he delivered his budget speech in Parliament. The budget speech contained a range of competition, trade and infrastructure announcements intended to drive deeper industrialisation and localisation. Minister Patel further identified areas of focus for the upcoming year included deepening the gains of the infrastructure programme, making measurable progress on the big-build programmes, advancing our growing economic integration with the continent and working with the local companies and sectors to address the slowdown in demand. The R23 billion funding commitment towards black industrialists forms part of the increased funding that the IDC has made to the South African economy and region. Over the five years to 2015 the IDC increased its level of funding by almost 57% to R61 billion. Minister Patel expects this investment to further increase and crowd in private sector investment: “To boost overall investment further, the IDC has earmarked R100 billion in the next five years for investment in the key jobs drivers and we expect a R200 billion of co-funding by IDC partners, bringing potentially R300 billion to the economy. In addition to financing to promote black industrialists, Minister Patel identified measures including set-asides in infrastructure and other products. Minister Patel also announced that the Competition Commission has completed its investigation into collusion by the biggest steel-maker and the Minister will be tackling steel pricing for down-stream users. He added: “The message is clear: we will act against practices that undermine the economy’s dynamism and ability to create jobs and drive industrialisation”. The Minister also stated that he will be issuing a trade directive to ITAC to ensure that tariff changes at the request of industry are accompanied by reciprocal commitments by manufacturers to invest more, create more jobs, improve their products and productivity. Minister Patel headlined a market inquiry on the retail sector that will be undertaken by the Competition Commission this year involving big supermarket chains, grocery stores and small retail outlets. The terms of the enquiry will be announced by the Competition Commission within the next four weeks. In addition the healthcare enquiry, under the chairpersonship of ex-Chief Justice Sandile Ngcobo will commence public hearings into the cost of medical care in this year. “Infrastructure development has boosted the economy and is one of the key reasons why we avoided another recession” said Minister Patel. He highlighted the PICC projects’ employment of about 220 000 workers, the installation of more than half a million solar water heaters, the establishment of 39 renewable projects adding more than 1 800 MW to the grid, and the boost for South African manufacturing as practical examples of South Africa’s broader economic benefits from the infrastructure programme. Pointing to the role of infrastructure and industrialisation, Minister Patel tabled the results of recent localisation programmes: “From importing public transport vehicles previously, we now have factories that have built more than 670 buses locally and assembled more than 32 000 taxis locally. I am pleased to say that two weeks ago, Toyota produced the first taxi that now uses almost double the level of locally-manufactured components and materials, a big step-up for government’s programme” the Minister said. While the Minister pointed to a number of schools, clinics, renewable energy plants and other infrastructure projects being completed this year, he stressed that the focus would be making measurable progress on the big build programmes of Medupi, Kusile and Ingula power stations whose delays are severely constraining the electricity grid. The PICC’s work this year will also focus on concerted action against cable and metal theft. Working closely with the Minister of Justice, amendments to various pieces of legislation have been drafted and will be tabled in parliament shortly. They will expand the powers of the state to act against cable and metal theft. “We cannot and will not accept the effective sabotage of our infrastructure systems for the profit of syndicates,” said Minister Patel.